Most lawyers have a love-hate relationship with online reviews. How can they get more good reviews than bad? 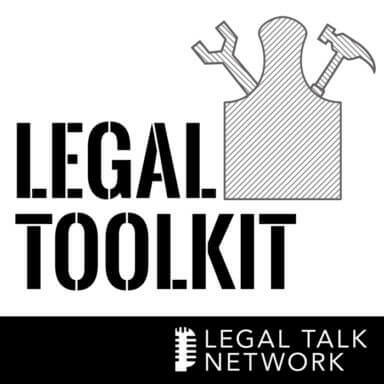 In this episode of Legal Toolkit, host Jared Correia talks to Sarah Smerage about how lawyers can better collect and promote customer reviews. They discuss how lawyers must go beyond just providing excellent legal services and focus on providing an excellent customer service experience. They also talk about how to best handle negative reviews and what a company like ARAG can do to help lawyers in the review collection process. Sarah Smerage is a senior marketing consultant at ARAG, a leading provider of legal insurance around the globe. Jared Correia: Hello and welcome to another episode of the award-winning Legal Toolkit Podcast, here on the Legal Talk Network. If you were looking for Season 2 of True Detective, maybe you should just focus on listening to this podcast instead. If you’re a returning listener, welcome back. If you’re a first-time listener, hopefully you will become a longtime listener, and if you’re Rosanna Arquette, you’re Desperately Seeking Susan. As always, I’m your show host Jared Correia and in addition that casting this pod, I am the CEO of Red Cave Law Firm Consulting, which offers subscription-based law practice management consulting services for law firms, bar associations and legal vendors. Check us out at redcavelegal.com. I’m also the CEO of Gideon Software, Inc., which offers chatbots and predictive analytics built specifically for law firms. Find out more at www.gideon.legal. Lastly, you can listen to my other, other podcast yes, I have two, the other one is called The Lobby List, a family travel show I host with my wife Jessica on iTunes, subscribe, rate and comment. It’s truly wonderful. But here on The Legal Toolkit, we provide you each month, soon to be twice each month with a new tool to add to your own legal toolkit, so that your practices will become more and more like best practices. In this episode, we’re going to talk about lawyer ratings and reviews, which most attorneys have a love-hate relationship with. But before, I introduce today’s guest, let’s take a moment to thank our sponsors. Thank You sponsors. And my guest today is Sarah Smerage. Sarah is a Senior Marketing Consultant at ARAG, which is a leading provider of legal insurance globally. Now, notice how I said that, everyone I just want you to be aware, it’s ARAG and not A-RAG. In her role, Sarah develops and initiates marketing strategies that increase awareness of legal insurance to bridge the access gap for consumers and attorneys, which we know is significant. Sarah has 15 years of experience working with public relations agencies and creative agencies. Welcome to the big show Sarah Smerage. Sarah Smerage: Well, thank you Jared. I’m happy to be here. Jared Correia: Excellent and you sound great. I know you got a tremendous microphone over there, so this is going to be a wonderful show. Sarah, you’re based in probably one of my favorite locales in the entire United States, Iowa. I’m an Iowa law actually. So I want you to explain if you will, because I don’t think the rest of America knows this, how delicious are tenderloin sandwiches? Sarah Smerage: Well it is the ultimate guilty pleasure of the Midwest. Jared Correia: Yes. How many tenderloins would you say you eat in a year and no shame here at all, if it’s like a hundred, I’d be very impressed? Sarah Smerage: Oh no. I don’t eat them as frequently as I used to. I’m in a point in my life where I have to make better nutritional choices than that on a daily basis, but certainly at our Annual Iowa State Fair which if your listeners have not attended, they should definitely put it on their bucket list. Sarah Smerage: You would definitely want to be getting a tenderloin sandwich at the Iowa State Fair. Jared Correia: So for those who don’t know tenderloin sandwich is like a flattened pork tenderloin, breaded, fried and between like a hamburger bun. And I don’t know about you but every time I go out there they get bigger and bigger. Like the last time I was out there, this thing was like the size of a hubcap, right like a quarter of it. Sarah Smerage: Yes imagine a plate sized tenderloin between a normal sized bun. So by the time you get to the bun, you’re full. Jared Correia: Yeah, you’re really like trying to get to the center, so you can hold the bun. Jared Correia: All right, that was some good tenderloin talk. Should we talk about the legal industry as well? Jared Correia: All right. So as I mentioned in the intro, I think it’s probably true that most lawyers have this love/hate relationship with online reviews, right. They love the good ones, they hate the bad ones and there’s very little in the middle. So most law firms however do not try to take advantage of or control that review processes anyway. So how Sarah can lawyers better manage the process of collecting and also, which I think is another important point, promoting those reviews that they receive? Sarah Smerage: Well of course, I think the most important thing is to provide high quality legal service. We all know that, but what many attorneys don’t realize it’s so important to also provide top-notch customer service. Sarah Smerage: Jordan Furlong wrote a great book ‘Law Is A Buyer’s Market’, and one of my favorite quotes in his book, he talks about how the law firm interacts with its clients, how they interact with their clients is almost as important as the quality and effectiveness of what the firm delivers. This is one of the most important realities to emerge from the rise of the buyer in the legal market. So it’s very, very important for attorneys to develop that desk-side manner, often that’s the piece where there’s a gap to first, make a human connection, take the time to build rapport with your client. When comparing the perspectives of attorneys and clients during the initial phase of a client relationship, we found attorneys are so focused on collecting the facts to determine whether or not they’re going to take the case that they are missing the piece that clients are most focused on, which is to assess whether the attorney really cares about them, are they’re going to give them their full attention and can they trust them. So I think that is where there’s a gap that the really great attorneys that get really great reviews and ratings, they’ve closed that gap and they’ve put the focus on the client in that initial intake and then throughout the rest of their experience together. Jared Correia: A nice shout-out to Jordan Furlong, one of my favorite people. Sarah Smerage: We love Jordan, yes. Jared Correia: People should read his books, yes. Jared Correia: Okay, so you’ve talked a little bit about that, so let’s move on and talk about like when you’re collecting reviews, you want the good ones and not the bad ones. So, what specific steps can attorneys take to ensure they’re getting like mostly positive reviews, not just reviews a mixed bag? Sarah Smerage: Right. Well, in addition to the setting, making a human connection, I think it’s important that they show empathy, understand the client could be in a challenging emotional state, disoriented and confused. They’re in a train that they know nothing about, so they are really putting all their trust in you, so acknowledge those feelings and assure your client that you’re there to help. Third, set expectations. State what you expect from the clients and what they can expect from you. This transparency upfront will help alleviate the communication issues down the road. A lot of the feedback we get from our plan members is their expectations on the frequency of communication, often they want updates more frequent than they are receiving them from their attorney. So I think if you set that expectation upfront depending on what type of case it is, they might need a daily update, they might need a weekly update or a monthly update, depending on how quickly a case might move forward. So I think being really upfront about that with your client and let them know how often they should expect to hear from you, will do a lot to further their perception of the kind of service you’re providing. Jared Correia: Yeah absolutely, that’s one of the most common ethical complaints to the attorneys that they don’t get back in touch with their clients. Jared Correia: So not only is it a malpractice avoidance technique, it’s also a good way to get good reviews. Sarah Smerage: It absolutely is. We conducted a research survey with the American Bar Association towards the end of last year and when we asked attorneys what their greatest communication challenges were, 30% of the attorneys reported expectations and response speed was their number-one challenge. Sarah Smerage: 27% cited creating an understanding with the client of how the process works and then the other 15% said expectations on frequency of communication. So again, expectations of how fast, how often, and how it works. Those are the areas that both highly successful and the not so successful attorneys they all tend to dip in those areas when we look at ratings and reviews from our plan members. Sarah Smerage: So that’s definitely an area that if you can become an expert in that area, you shouldn’t have problems with ratings and reviews. Jared Correia: Yeah absolutely. I think that’s true. Like being a good customer service law firm covers up a lot of warts without a doubt. Sarah Smerage: Yeah I think — I think that we know that to practice law you get many years of education and you have a ton of experience and knowledge base to provide that service. Sarah Smerage: Our plan members expect that, that’s a given in their mind that you have all those skills, so then it’s how you treat them during the journey that is really what’s going to make you memorable in either a positive or negative way. Jared Correia: Yeah, so let’s talk a little bit more about that, because that’s an interesting point. I think the failing that most lawyers have is businesspeople is that, they think that their technical skills as an attorney are what’s going to carry them, and you’re right. Jared Correia: I think most people expect you graduate the law school right, you should learn something probably. So why is it then more likely that consumers are more likely to rate lawyers on their communication skills rather than their technical, legal skills, because I think that’s like the consumers and lawyers are like two ships passing in the night on this. One expectation is one way, the other goes entirely a different way. Sarah Smerage: You’re absolutely right. Attorney-client communication is a significant part of the legal experience, it’s like eating out. You can go to a 4-star restaurant and have this wonderful experience and its wonderful meal, but if the service is bad, if the food comes out late, if they don’t bring your coffee until 30 minutes after you asked for it, your whole experience can be tainted. Same thing happens in the legal world. When we looked at the feedback our clients give us on attorney reviews, it was clear communication and customer service are equally important as the attorney’s expertise knowledge and overall quality of work. And sometimes it’s more memorable. It really could be your unique differentiator is how you treat that client. And when I say that I think it’s also important to remind attorneys, it’s the entire client experience, so that includes the person that answers your phone. It includes the person that greets your client when they come to your office. That includes the person that handles billing, everyone in your firm whether it be one person or five or 20 people in your firm, every interaction the client has with your firm is setting their perception and will affect the ratings and reviews they will give you as the person who represents your firm. Jared Correia: So it’s people, it’s processes and we’re going to talk about that shortly as well. Jared Correia: Let me take a moment to work on my communication skills and say, we’re going to take a short break, here is something you should buy. Thanks for staying. I put my feet up and so should you. I’m here talking with Sarah Smerage of ARAG. We are here to discuss ratings and reviews for lawyers. So I think one of the things that lawyers don’t necessarily understand is that not everybody’s going to write a review. In fact most people are not. People are busy, writing reviews is not something that’s on their priority list, even assuming excellent service, so they need to be prompted and prodded a little bit. So how can lawyers encourage their clients to submit reviews without seeming like they’re being overbearing? Sarah Smerage: That’s a great question, Jared. Many attorneys I’ve spoke with tell me I just expect that my clients will tell their friends and family my business is built on word-of-mouth and if they think I did a good job, I hope and expect that they’ll tell others. I think we are living in a time now where you need to do more than just hope and expect that, that will happen. I think you can encourage your clients to leave reviews and share information about you with their friends, family, neighbors, colleagues, and I think it’s in an attorney’s best interest to do so, here are a few tips to help solo small practice attorneys make the request. Sarah Smerage: First of all, I would say know the review sites clients are most likely to visit, and the ones that you’re friendly with where you might already have a presence, a profile and some ratings and reviews and encourage your clients to leave reviews on those sites. And also, it’s very important to track and monitor online reviews. You can’t improve based on the feedback from a client if you’re not tracking it. So make sure you’re tracking to see what people have to say about you or anyone else in your firm. Try to weave making the ask for feedback and reviews into your daily routine and client process. It’s easier to achieve a goal if you incorporate small steps into your daily routine and just bring it up, bring it up. If there’s a place where they can provide feedback about your service, let them know from the beginning and throughout the process. But don’t suddenly ask all of your clients for reviews. So if you decide that your New Year’s resolution is I want to get reviews up and going to help build my online presence, do not send a notification to all your clients tomorrow asking for them to go review you, it will look fraudulent. It will set off alarm bells on the Internet and you’ll create problems you really don’t want. So this would be the few things as far as external sites. Jared Correia: No that’s good, because every lawyer who listens to you is going to be like all right, I’m going to send out an email to all my clients and ask for review. Sarah Smerage: No, no, don’t do it. No. Another thing is if you have the ability to send your own customer surveys out to your clients, that’s the most ideal. Creating your own system to collect information from your clients throughout the process where then you are collecting, summarizing that data and sharing it with your firm is always a great way and most ideal. And you’re controlling that and I would say in that situation try to send brief surveys and questions to your clients throughout the process, maybe beginning middle and end, so that if there are some communication breakdowns you can assess that and adjust for it before the end of your client relationship. Jared Correia: That’s great suggestions there. Yes, so don’t be too overzealous, but start to build it into the process slowly, slowly but surely. Sarah Smerage: I’m just going to say also if you’re just starting out really think about what are the key questions I want to ask and you don’t want a survey to be overwhelming. So maybe it’s just two or three questions that you’re going to be part of your KPI is that you want to start tracking. And then you can develop it more over time. Jared Correia: Yeah absolutely, and people should be able to get those surveys out there, a ton of good free survey tools out there that you can use. Jared Correia: So here’s the biggest question that almost every attorney I have ever consulted with has asked me, and I think this may be like the most top of my question for lawyers in this podcast because there’s some fear in going out there and trying to get reviews, because what if you get a bad review. So how do you handle a negative review? Sarah Smerage: Well, you can learn a lot from negative reviews, but you also need to respond and address them. So the first thing I would say is really think through how you’ll handle negative feedback before it happens. The more prepared you are in advance, the less likely that you’ll go into defensive mode which will only escalate the situation. Some steps that you could take when you’re responding to less than favorable reviews would be express empathy. If you come out guns blazing, you’re just going to be a detriment to yourself and look like a bully compared to a client. Make sure you always stick to the facts and explain how your processes work and how you try to avoid issues without creating more confrontation. Try to make things right. People reading your response if it’s done online will be impressed if they see you taking the high road and trying to make things better. It will create confidence that if something goes wrong you won’t leave people high and dry. And acknowledge any mistakes made by your firm and make a point to say that you’re taking steps to correct those mistakes and appreciate someone pointing them out to you so that you can do so, and always offer to take the discussion offline, a private phone call or email can rectify a situation very quickly and certainly get to the bottom of the situation much more efficiently. The other thing I would just say is that we often grow the most when we fail. I once saw the saying that fail stands for first attempt in learning and I like to think about that sometimes which is we can’t be so defensive about a negative thing, meaning that we are failures, instead we should say that’s something I can learn from to better myself or to better my firm. So if we can look at this as the gift of feedback rather than being defensive that someone is poking a hole on our process, I think that’s a better approach to take. Jared Correia: Take it pretty deep Sarah. Jared Correia: So that’s — I thought that was a great answer about handling negative reviews. Jared Correia: So step one, somebody gives you negative reviews, don’t light them up on the Internet all right? Jared Correia: Calm down, take a moment. Listen to what Sarah just said. So let’s spin this a little bit. So you just talked about this attorneys learning from negative reviews. Jared Correia: So, let’s think about how they can do that, right, like how can attorneys use reviews that are not positive, or not entirely positive to improve their services that they’re already providing, both in terms of like substantive legal services and also process-based services. Sarah Smerage: I am going to start by giving you an example I pulled from our own ratings and reviews collection that we do. Sarah Smerage: Story time. So sit back, relax. So I’m going to start with what the attorney had to say about the client’s feedback. The attorney stated, I won the case from my client and they received everything they asked for. I don’t feel this rating is justified. So they weren’t happy because the rating was lower than what they expect and I have to say our attorneys by and far get wonderful ratings, but attorneys also set a very high standard for themselves. If the scale is 1 to 10 they expect to get a 10. Sarah Smerage: 9 is not acceptable. So we often hear from attorneys who are frustrated because maybe they received a 7 out of 10, and legal issues are complicated and challenging and you can’t — it’s very difficult to achieve a perfect 10. So this person was a little frustrated, they hadn’t received the rating they felt they deserved. They won the case, right, and their client received everything they asked for. So they’re thinking why didn’t I get a 10 out of 10. Well let me read to you the client’s comments. The client stated every step of the process was painful. He didn’t return my phone calls. He didn’t tell me what to expect. I never knew where we stood on our case. I would not want to work with him or his firm again. So I think that sums up the challenges that attorneys have to really think with the client hat on. What is it they need at this point, at the intake process, what do they need a week after the intake process for follow-up about what we discussed, what do they need before we go to court to know where to meet me at court and where to park and what they should do to prepare, what do they need at the end of the process when it’s time to sign the documents or to put something into action, what do they need. I think if you can think as if you’re the client it will help you tremendously. Jared Correia: Client journeys everyone. Jared Correia: Am I right there? Sarah Smerage: If I can give — if I can get myself one plug Jared, I wrote a three-part — I wrote a three-part blog series on my LinkedIn page about the client journey mapping with a template to create your own client journey map. Jared Correia: Well alright, everybody should go check that out. Sarah Smerage: Please check that out. Thank you. Jared Correia: So do you want to spell your name for people who are listening and who want to Google this right now? Sarah Smerage: Sure. If you go on LinkedIn, it’s Sarah with an H, S-A-R-A-H, Smerage is spelled S like Sarah, M E R A G like goat, E.
Jared Correia: Get those client journeys together people. Sarah Smerage: With ARAG, A-R-A-G.
Jared Correia: Yes, that’s an easy one, ARAG. Jared Correia: Now I’m not going to attempt to pronounce the German. Sarah Smerage: I’m not going to be either. Jared Correia: All right. Thanks Sarah, that was good stuff as well. So sadly because we’ve only got one part left in the show, we’ve already reached the end of part 2 of this episode Legal Toolkit Podcast. So while I look for my attraction list, Adidas Sandals, that I love so much, listen to some more words from our sponsors. Jared Correia: All right, thanks for coming back one more time. I hope you enjoyed your Ritz crackers and spray Velveeta cheese. Now let’s get back to our conversation with Sarah Smerage of ARAG, who’s talking to me about ratings and reviews for lawyers. All right, Sarah. We’ve talked a lot about how to get better reviews, how to be a better customer service law firm. So let’s talk about workflow, because everybody is more efficient, richer and happier when they use workflows, attorneys included. So how can law firms build effective review collection and maintenance processes into their existing business models because I think this is a big challenge for firms? Sarah Smerage: Yeah. I would say attorneys need to take a proactive approach and it purposefully embrace the ratings and review process. So it should be part of your everyday procedures like everything else. Follow these steps to jumpstart your participation in ratings and reviews. We mentioned earlier ideally you would have a client survey process in place that collects rating and reviews for your firm. So that’s most ideal is collecting them yourselves. So that you can manage and share the information directly on your website which will help you build Search Engine Optimization, we call SEO, and build your social value, which is great to engage clients and future clients. When you’re engaging with your client send brief online surveys, keep it brief or they won’t do it. So if you can’t complete that survey in just a few minutes you’ll lose them. People are busy. Ideally it’s something that if they popped up that survey link on their mobile phone they could complete that survey in just a few minutes and provide you as we discussed earlier, maybe you’re getting one KPI metric in the first stage of interaction during intake in that first couple of weeks. Maybe you’re trying to measure just one or two KPIs there and then there’s a different KPI you’ll survey for midstream in that client journey. Sarah Smerage: So don’t ever wait till the very end to ask for ratings and reviews. At that point it’s too late to fix something and you might not understand exactly where things went wrong, if you wait until the end. Let your client know you valued the feedback because it helps you improve the service that you can provide to them and to others and be sure to mention that your business is built by word of mouth, recommendations, which is why their reviews are really vital and important. And for those who don’t have a process in place, there are several external lawyer ratings reviews and directory sites to choose from. I’d recommend directing your clients to the sites that you frequent, where you have some type of a profile or information already and encourage them to go there to rate you at site where you feel the best you can feel about the types of ratings that people provide for you. And finally, familiarize yourself with the rules related to client reviews. You are responsible for ensuring the use of ratings and information provided in your client feedback is compliant with the ethics rules in your State and they can vary state to state. So you’ll want to make sure you’re following the rules where you reside. Jared Correia: Very nice. All right, now I think you have a lot of inside knowledge on this question obviously, how do branded networks use ratings and reviews to advantage the attorneys who work for them? Because there are attorneys out there who are working solely on their own, getting their own clients, there are attorneys who are working exclusively with branded networks, there are attorneys who work sometimes with branded networks, so how does that process work in terms of ratings and reviews, because I think a lot of attorneys probably have questions about that? Sarah Smerage: Yeah. So, I think when you’re working with a branded network for example like ARAG, it can really help the solo, small practice attorney who may or may not have a real robust customer ratings and reviews system already in place. Because through your interactions with clients sent to you from ARAG, you can collect ratings and reviews from those clients and those — that information can be applied to your entire firm business. So the information you get back from ARAG clients will point out potentially gaps in your firm that can help you with all of your business. So at ARAG we are making it easy for our legal insurance plan members to get involved in the ratings and review process. We’ve been collecting member feedback on every aspect of our plan members’ experience for the past decade. And today ARAG Plan members and we have over a million of them nationwide can view attorney ratings and reviews on the ARAG Legal App and this feature allows members to read about other members experiences to help them select an attorney that’s a good match for their needs. So let’s imagine that you’re a solo, small practice attorney in California, and you’re on the ARAG Network. We have a number of very, very large employer clients in Southern California with thousands of employees that work for them. And if you’re on the ARAG Network and you have gotten some great reviews and have a great rating, all those employees who have the legal — ARAG Legal Insurance Plan have access to see your profile, your picture, your rating. They can read reviews about you from other ARAG plan members and that will greatly help your ability to get more business through the private companies like ARAG. All members do is sign in to their ARAG Legal App and they can enter their legal matter and a zip code and they’ll view a list of all the attorneys that practice in the area of law near them, and then they can filter those results based on the attorney’s ratings and reviews to find the ones that are the best match for them. And the fact that we share the attorney ratings and reviews behind a secure login for plan members, I feel really provides assurance to our attorneys that those ratings and reviews are very credible. So something I’ve heard many times from the attorneys that I’ve met with is, they’re very apprehensive about ratings and reviews on some external public sites, because a few of them have been stalked by members who are — not members, stalked by clients who weren’t happy with them and it’s almost like they try to ruin the reputation or something. And an attorney has had bad experiences with that. We’ve heard a lot of this before in some focus groups that we’ve had with attorneys on our network. What we do is we put our ratings and reviews information behind a secure member login, and so you would have to be an ARAG Plan Member to actually have access to those ratings and reviews, and you would have to be an ARAG Plan Member who had worked with a certain solo practice attorney to even receive the survey link to give us feedback about that attorney. So it’s very much more controlled and if you haven’t had an experience with an attorney, you’re not going to be able to leave a review about them. Jared Correia: Okay. So we’re running a little short on time. So will you give me, as my last like substantive question, the like 30-second primer on what legal insurance is and how it works? Sarah Smerage: Well, you’re asking a marketer for their elevator speech. So I will do my best. Jared Correia: Yes, I am. You can do it. Sarah Smerage: All right. I’ll try to get this in 30 secs, I’ll do my best. So ARAG partners with attorneys to provide consumers with affordable professional legal help. It works a lot like health insurance. People pay a monthly premium, usually less than twenty dollars a month, so that when they need legal help they’re connected with an attorney on our network. We pay the attorney directly for all covered legal matters, so the client doesn’t have to worry about the very cost and the attorney doesn’t have to worry about the paperwork, and they don’t have to worry about write-offs. So they don’t have to collect payment from their client, it’s all handled by ARAG. Attorneys can join the network for no fee and start growing their practice with ARAG clients who want help with various legal issues throughout their lives. And what I hear quite often from attorneys is that participation on our network helps provide a needed supplement to their core business. Others tell me it allows them to take on special interest cases because they have a solid base book of business from our ARAG. So it’s a really great way to close that access to justice gap, find clients who otherwise might not ever even engage with an attorney. We help them determine if they have an issue that needs an attorney’s help and then we could connect them with an attorney in their area and then the rest is up to you. It’s your client and you’re off and running. Jared Correia: So both monopoly in ARAG, the company work for began in 1935. Sarah what piece do you choose when you play Monopoly? Sarah Smerage: Has to be the car. Jared Correia: Oh the car? Jared Correia: I think this is like a character question for most people. I am a battleship person myself. Jared Correia: But I think the car is legit. Sarah Smerage: If I am playing with my son, he usually grabs the car before me and then I’m all about the Top Hat. Jared Correia: Oh, the Top Hat is okay, all right. Sarah Smerage: Yeah, it’s a good one. Jared Correia: I have a feeling for that, I like that. Jared Correia: So as I alluded to you previously, we’re now at the end of yet another episode of Legal Toolkit podcast. We’ve been talking with Sarah Smerage of ARAG about lawyer ratings and reviews. Now I’ll be back on future shows with further insights into My Soul, the Soul of America and the Legal Market. If you’re feeling nostalgic for my dulcet tones, however you can check out our entire show archive anytime you want, at legaltalknetwork.com. So thanks again to Sarah Smerage of ARAG, who made an appearance today as my guest. She was very brave. So Sarah, can you tell everyone how they can find out more about ARAG? Sarah Smerage: I sure can, and also I want to tell you that we have an infographic that is all about 7 tips to rock your ratings. So can I give you that link as well? Jared Correia: I like how it illiterates, hit me. Sarah Smerage: Yes. So to download the infographic and it’s cool, it’s like Rockstar cool with a guitar and everything. Sarah Smerage: Go to araglegal.com/rockmyratings. Sarah Smerage: Again, araglegal.com/rockmyratings. To learn more about joining the ARAG Network and the benefits that you can achieve there, just go to our araglegal.com/attorneys. Jared Correia: Thanks again, Sarah. This was great. Sarah Smerage: Great. I will see you at the Legal Tech Show. Jared Correia: Oh I’ll be there. Yes we will have to catch up. Jared Correia: Anybody else who’s going to be there, come find us. And thanks again to Sarah Smerage of ARAG. Jared Correia: Finally, thanks to all of you out there for listening. And this has been The Legal Toolkit podcast where our ratings are always 5-Star.